The 2,500 lb capacity bumper jack has an air control valve for easy raising and lowering of a load. This vehicle end lift also features an adjustable bumper extension with rubber mounting pads. This bumper jack has solid rubber tires in the rear, making it easy to move this jack in and out of position. Weight capacity – 2,500 LB. 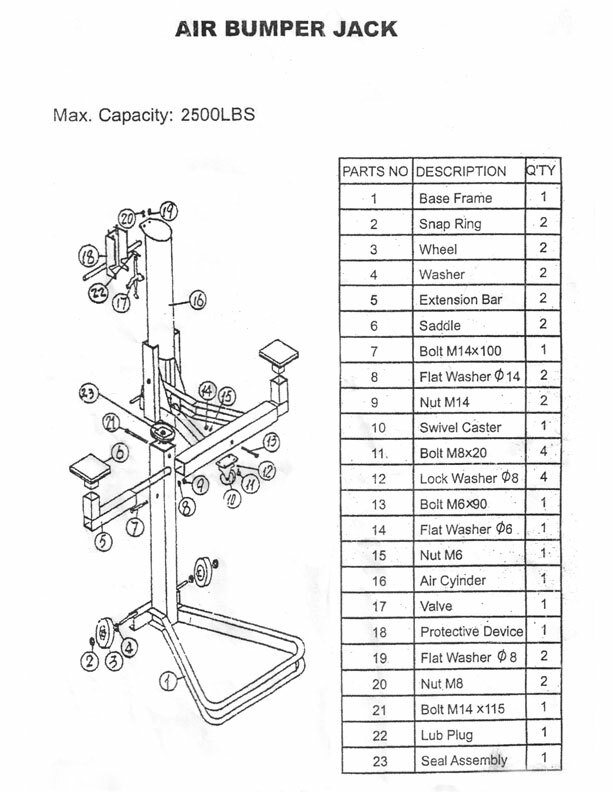 Shipping weight – 250 LB.